I am reposting the blog I wrote for Exxpedition, an all-women’s sailing and research team exploring solutions to marine plastics. After several days at sea, the crew of the Seadragon disembarked in Bridgetown, Barbados. Our sail from Trinidad was rough, and we were excited to stand on solid ground and to meet fellow environmentalists in Barbados. We had arranged two days of meetings with schools, universities, and Bajan environmental organizations to share concerns about marine plastics and their effects on marine and human health. Although eXXpedition is a sea-based mission, these face-to-face conversations, to me, became the most important and interesting part of our trip. After all, the plastics that litter the world’s oceans come from the land, so our solutions, too, must be land-based, and we need to work together across borders to save ourselves and our seas. 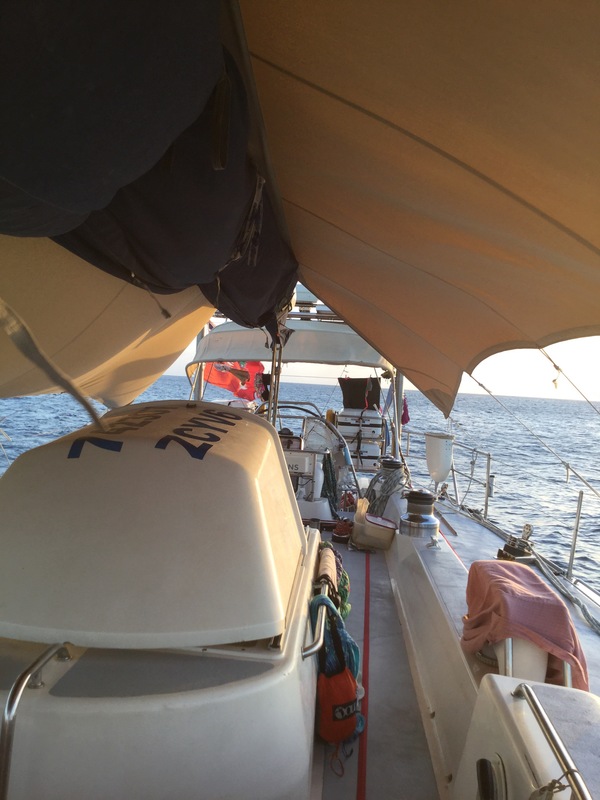 The Seadragon had reached Barbados two days earlier, our 72′ sailboat dwarfed by the cruise boats, tankers, and container ships anchored in the island’s small port area. Once unpacked, these ships disgorge the thousands of plastic bags, wrappers, and bottles that pass only briefly through human hands on their way to landfills and, worse, the sea. Marine scientists had presumed that these plastics amass into enormous plastic islands, floating in perpetuity in 5 separate oceanic gyres. However, more recent research suggests that these plastics disintegrate into micro particles that migrate back from the ocean into our bodies. For the two previous days, in between bouts of seasickness, the crew had trawled Bajan waters to find traces of these micro particles. We anchored in Carlisle Bay, and our skipper Shanley ferried us by dinghy to the public dock near Independence Square. From there, our tight knit group split in two and headed in separate directions. One group met with primary and secondary schools and representatives from Marriott hotels, and my group made presentations at the University of West Indies at Cave Hill and Lockerbie College. That evening, we reconvened for a brainstorming session with the Future Centre Trust and representatives from local environmental groups. We told stories about our successes and failures, our victories and frustrations. We commiserated about non responsive governments and friends who turn a blind eye to debris. In particular, we discussed the difficulties of creating a cultural shift, making reusable bags and cups the norm. 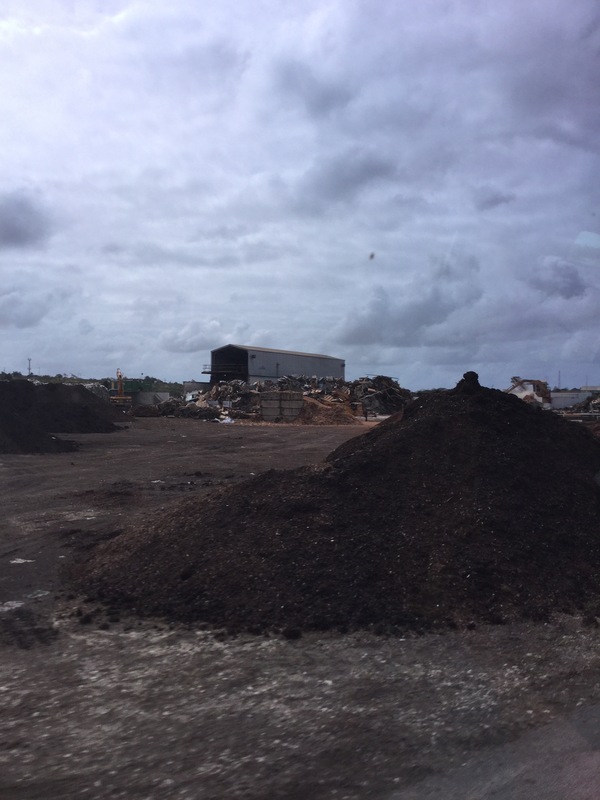 One of our Bajan colleagues commented that “There is no magical place called away”–our plastics essentially last forever, in the oceans, on land, and now in our bodies. We shared strategies and successes in motivating our own communities to reduce their plastic use. Most important, we came together–Bajans, Americans, and Europeans-as peers to navigate towards a cleaner future. Ocean toxicity is a wicked problem, meaning that the problem is complicated, with no single cause and no single solution. Some of the best responses will be local and grass-roots, emerging from the specific skills, cultures, and values of different communities. It is not a matter of telling people what to do. After long histories of colonialism and overbearing development agencies, it’s time to listen, strategize, and collaborate. In addition to our meetings and presentations, we had scheduled beach clean-ups in both Trinidad and Barbados. At first, I wondered if these events weren’t just some feel good exercise, but instead these clean-ups gave us more time to talk in more depth with our hosts. On both islands, we literally got our hands dirty, picking up bags and bags of trash with gloved hands, and learned about the challenges specific to each island. In Trinidad, over 35 people came to the cleanup, having only 2 days notice, and we met people dedicated to sea turtles, trash, and clean water. In my own fieldwork, that’s when the best conversations come–working side by side, not in formal interviews. This collective brainstorming reminds me of what Mark Juergensmeyer refers to as Gandhi’s third way–in a dialogue or conflict, listening to others, hearing their concerns, and working to address those concerns can produce answers better than any of the parties initially proposed. To move forward and solve this wicked problem, we need ideas and solutions from multiple religious and cultural viewpoints, disciplines, and professions. We all own this problem now. The magical “away” is now our bodies, and everybody suffers as toxics leach into human and animal bodies. Although the burden falls even heavier on those with less access to clean water and health care, nobody can buy their way out of this problem. Women’s health, in particular, will be affected because these toxics are endocrine disrupters which means they disrupt hormones. Removing large plastics such as bottles is one thing, but removing disintegrated micro plastics seems a Sisyphean task. The opportunity to work on a sailboat and collaborate with others drew me to join eXXpedition, but some of the most gratifying moments have been on land. We set sail tomorrow for St. Lucia where most of us will disembark and return home. The Seadragon will sail northward with a new crew, but I am confident that the bonds and friendships forged in our short time together will help us continue the work that brought us together.